This painting caught my eye when I was last in the Ashmolean Museum in Oxford. The unknown artist has captured the dog just as it wakes and before it has become alert. It lies on a cracked ledge in a city street, somewhere in the 17th century. 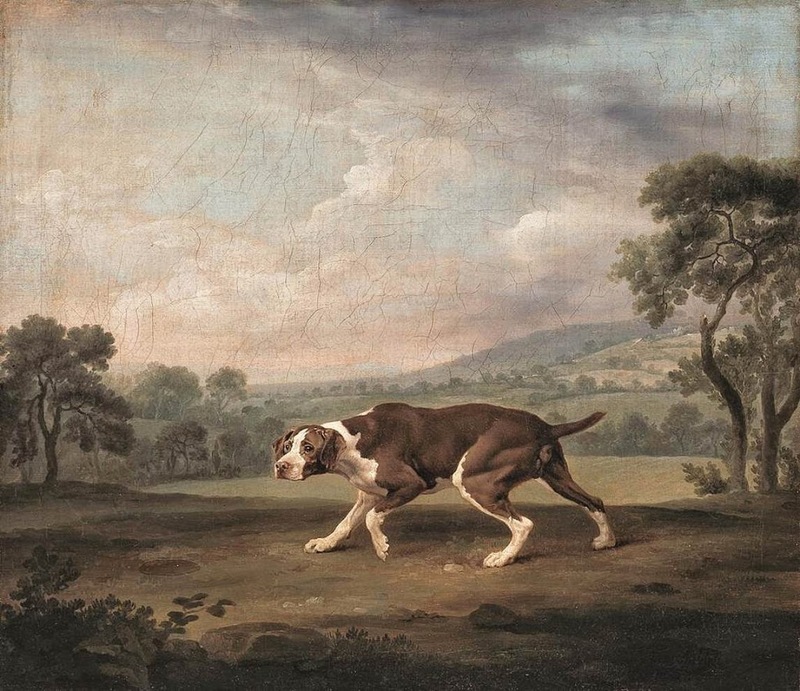 The Ashmolean online catalogue describes it as a ‘plebeian’ dog, a rare depiction of such an everyday creature at a time when the aristocracy commissioned paintings of expensive horses and hounds to display their wealth and status. 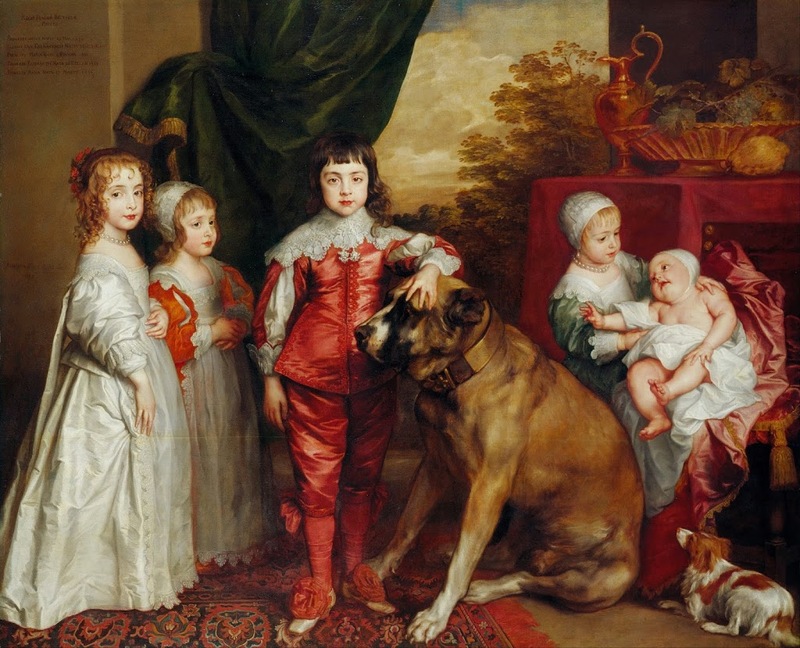 The artists Van Dyck and (later) George Stubbs would become masters of that genre. This painting, despite the subject being a mongrel on the streets, was owned in the 19th century by Louis-Philippe of France and displayed in his famous Spanish Gallery. One reason, apart from its appeal as an example of trompe l’oeil, may be that it is a very honest painting. It does not flatter, but neither does it denigrate. The dog is painted with a flash of real life in its eyes, and all dog owners will recognise that moment, no matter what breed they live with, when the dog is completely relaxed and at its most elemental. 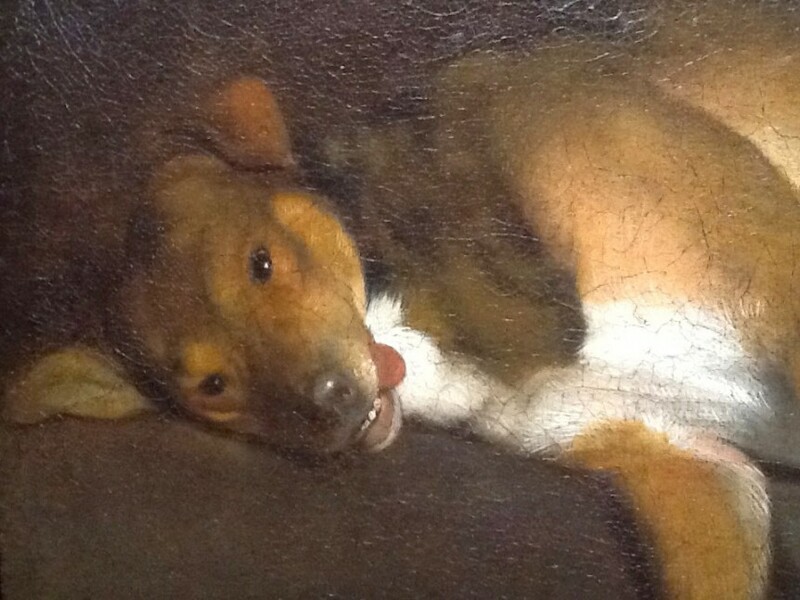 The descendants of the dog in the painting can be found making their way through towns and cities across Europe, sleeping where and when they can amongst the noise and hazards of human society. They are opportunists, always hungry, and willing to befriend those who treat them with a degree of kindness and generosity. As creatures of instinct, they are able to act according to their needs without the self-consciousness that plagues us. Perhaps that is why we delight in watching them sleep.